"The Official source of information on The Thurso"
On 24th December, a huge spate engulfed the Thurso. The swing bridge on beat 7 fared particularly badly, with two of the stanchions being completely torn down. 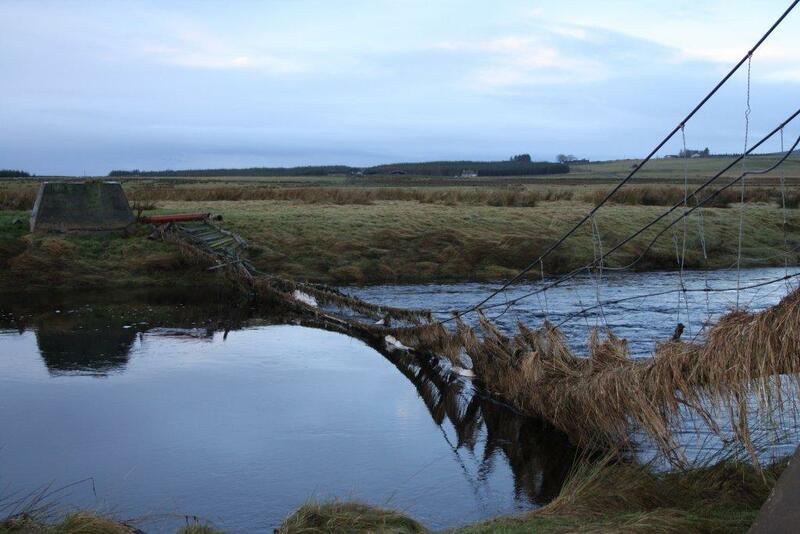 The result was a pile of tangled cable, broken wood and debris which had collected on the bridge. 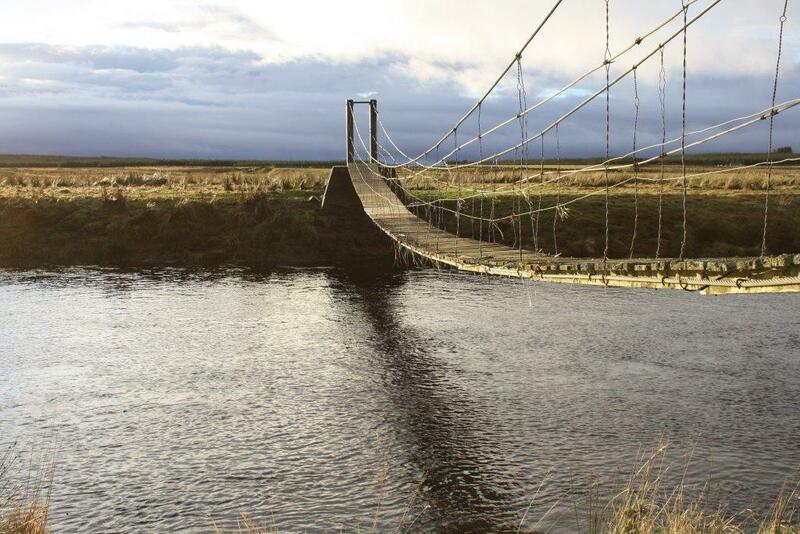 With the opening day only just over a fortnight away, it looked like the bridge was going to be out of action for months ahead, and need specialist care to restore the bridge to it's former glory. Enter Jamie McCarthy, who more-or-less single handedly managed to get hold of equipment, tools and expertise and started repairs. By the 1st January new stanchions had been fabricated, the steel cables had been winched out of the water, the debris cleared, new support beams cut, and fixed to the underneath of the bridge and then the damaged planks cut and replaced. The images below show some of the action! Click on the thumbnails for larger images. The current owners of the river were so impressed by the work carried out by Jamie, with some small assistance from Clyne and Eddie that the bridge was inaugarated as "McCarthy Bridge" from 11th January 2013 onwards!